Whether communicating through websites, or printed materials, Visual Statements specializes in clean, effective design creating memorable images and messages. 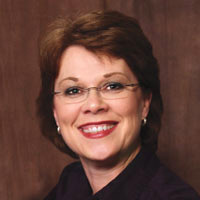 Kathy Dinkel established Visual Statements in Omaha, Nebraska in 1993. She has a bachelors degree in graphic design from Iowa State University and extensive experience with hundreds of clients in both the nonprofit and for-profit sectors. Clients often comment about how unusual it is to find a designer with creativity and attention to detail as well as the understanding of business and budgets. When partnering with clients, Kathy first learns about their organization and goals. With this knowledge, she can become a part of the team and create effective materials to reach their audience. Samples of website designs and design for printed materials created by Visual Statements are featured throughout this website. To see additional materials and to discuss your goals, target audiences and marketing needs, please call (402) 556-5302 or contact Kathy electronically. "Kathy delivers exceptional service and on-time work that is meticulous and creative. Great work. Great person."